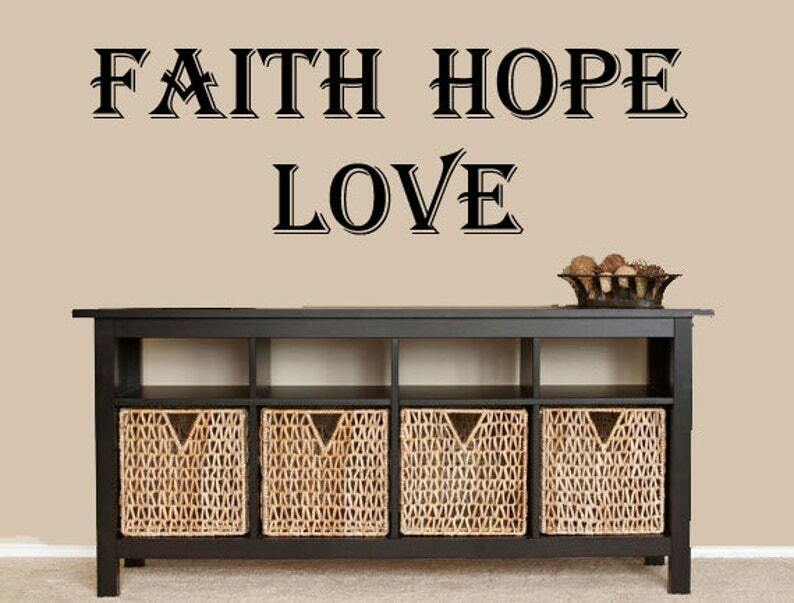 Faith Love Hope Vinyl Wall Quote. Please note the size of this listing as the picture may not show the size to scale. This decal measures approx. 36 inches wide by 12 inches in height.